Oxford Dictionaries defines stress as “a state of mental or emotional strain or tension resulting from adverse or very demanding circumstances.” Everyone is very familiar with experiencing stressful events in their life. Stress occurs every day and comes in various forms. Stress from trying to juggle family, work, friends, and school commitments can be overwhelming. Stress can also develop from issues like health, money, and relationships. It is that time of year, time to set back your clocks by an hour. The end of daylight savings time is a time of year that many people look forward to for that extra hour of sleep. This one-hour change can have some negative impacts when it comes to driving safety. This week is Teen Driver Safety Week, and we want to share some statistics and tips on how to keep your new driver safe in the car. Your teen being a newly licensed driver is a big milestone for you and your teen. Handing the keys to the family car to your teen might make you nervous, bringing to mind the dangers broadcasted at you from every media outlet. Not to fear, taking the right steps and supporting your teen to drive safely can make a difference. Below are three of the most common safety issues and tips on how to address these issues with your driving teen. No.1 Distracted Driving It’s no secret that distracted driving is dangerous. The National Highway Traffic Safety Administration (NHTSA) states that distracted driving is responsible for 15% of all crashes resulting in injuries and 10% of all crashes that concluded in fatalities. Unfortunately, many of these fatal accidents involve teen drivers. Teens are aware that distracted driving is dangerous. Over 90% of teens have admitted that they are aware of the dangers of texting while driving. Despite being aware, about a third of teens admitted they send or check texts while driving. What to do When Concussion Symptoms Last a Long Time? Currently, many doctors and other medical professionals tell their patients that the majority of people who have a concussion will recover in a short amount of time (under a month). However, new studies are showing that the risk for long-term symptoms is much higher than doctors and concussion specialists previously thought. Before seeking treatment at Cognitive FX, the majority of our almost 1,000 patients struggled with their symptoms for years. We have treated patients who suffered needlessly from post-concussion symptoms for many decades. Among the oldest concussions we’ve treated was a concussion from 60 years ago. Many of these patients had given up hope that recovery was possible. They saw their symptoms as a permanent part of their lives and futures. However, our research and patient improvement reports continue to prove that patients can drastically improve from their post-concussion symptoms. So what should you do if you fall into this growing percentage of the population with long-term PCS? Below are the first steps you can take toward your recovery. 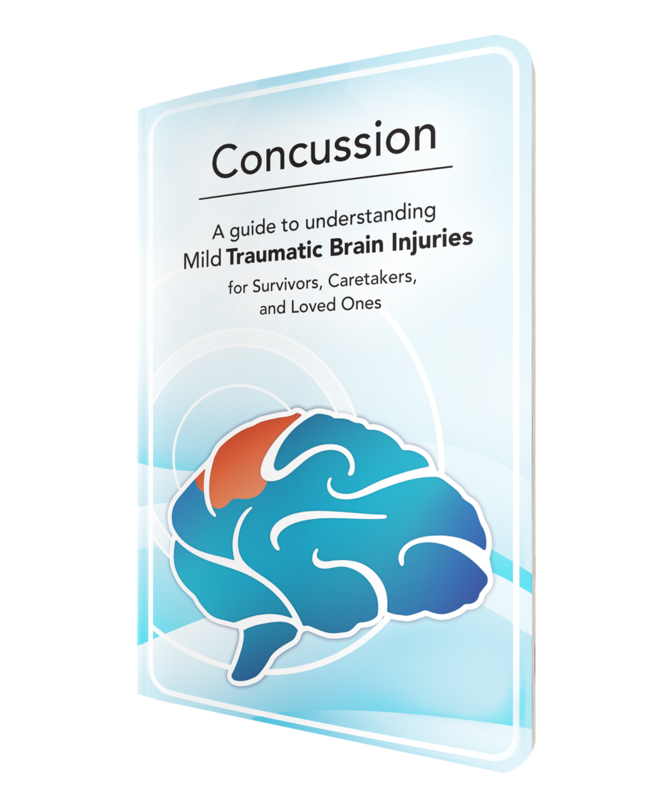 Over the last few months our team has been working on a new booklet to raise the level of awareness and education around concussions.